Returning from Milan to Genoa, I tried my usual detour among rice fields in search of wading birds. 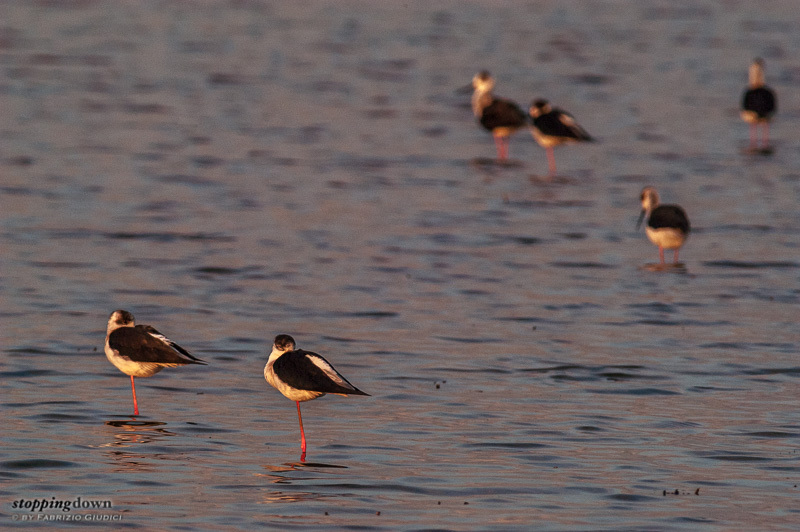 No luck, with the exception of these black-winged stilts, found when the sun was almost gone. Shh... don't wake them up. Cavalieri d'Italia si preparano per la notte (Himantopus himantopus). Nikon D100 + 300.0 mm f/4.0 @ 600 mm, 1/400 sec @ ƒ/11, -0.67 EV, ISO 900, TC-20E II, beanbag from the car.